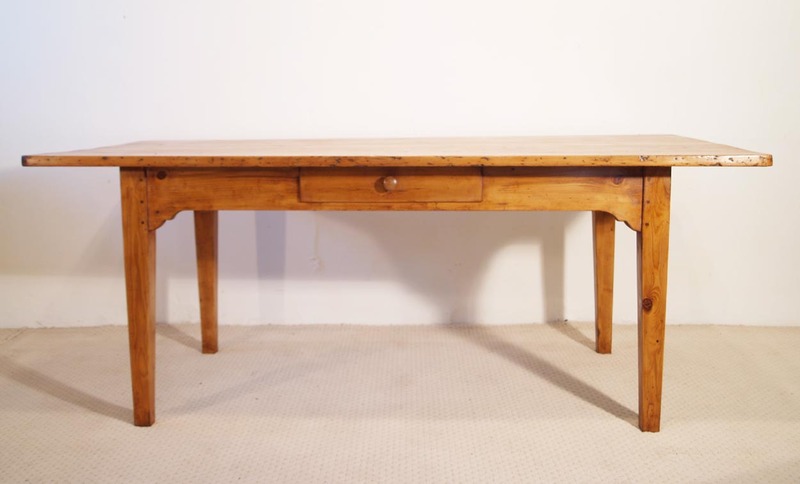 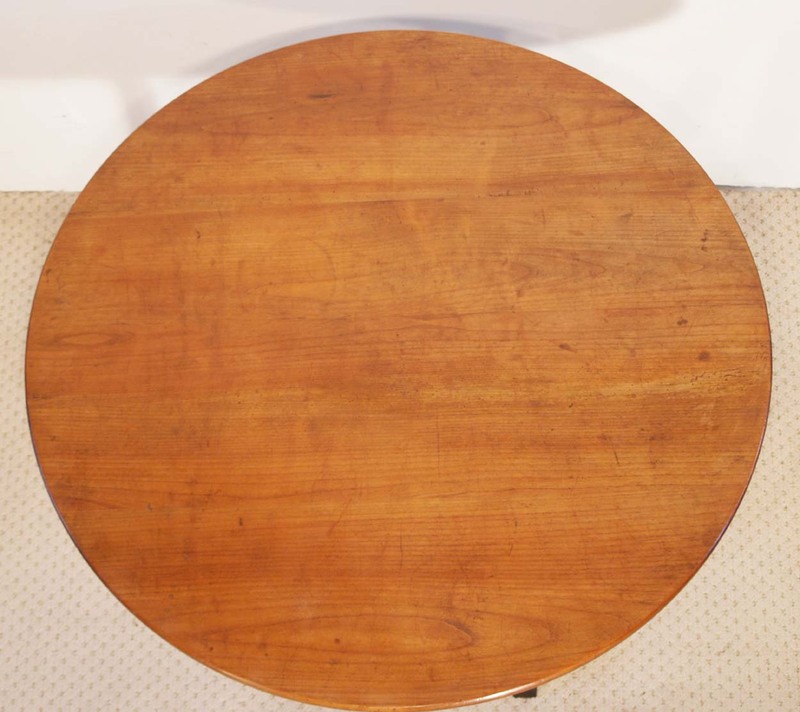 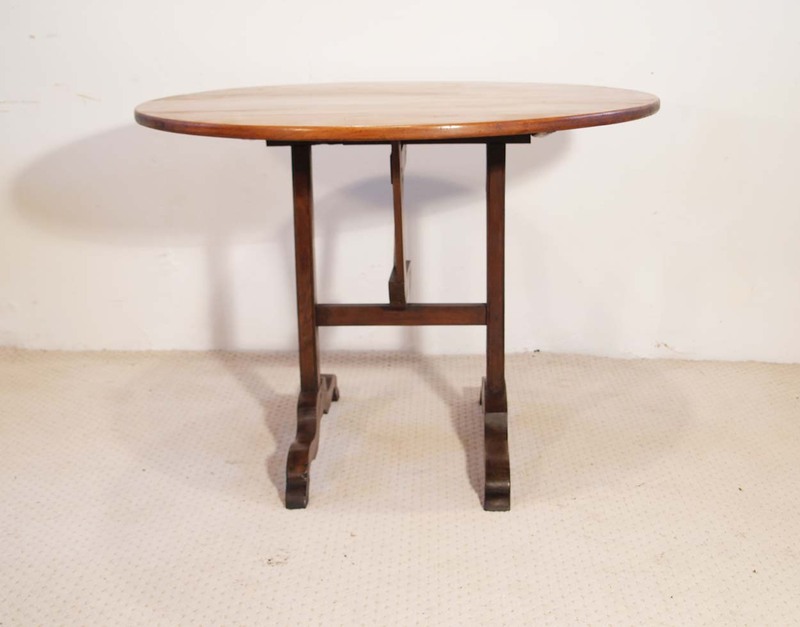 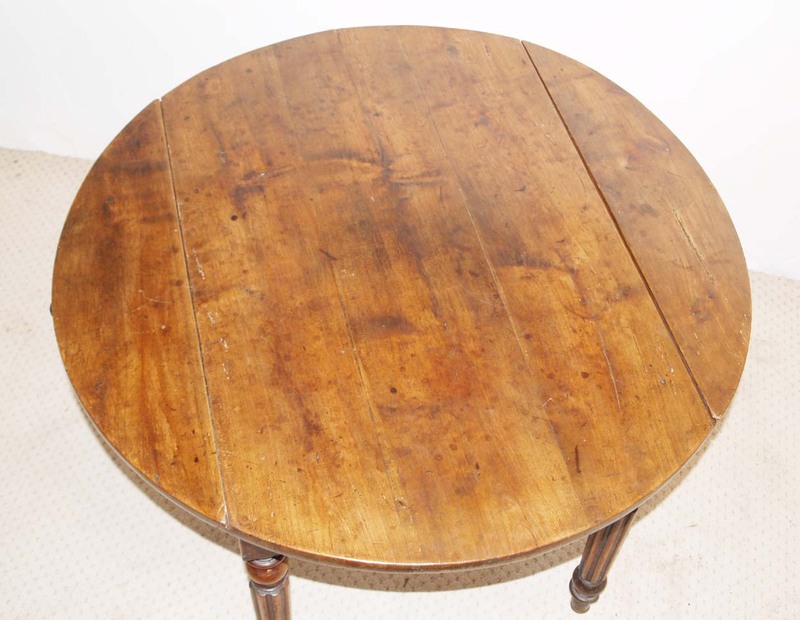 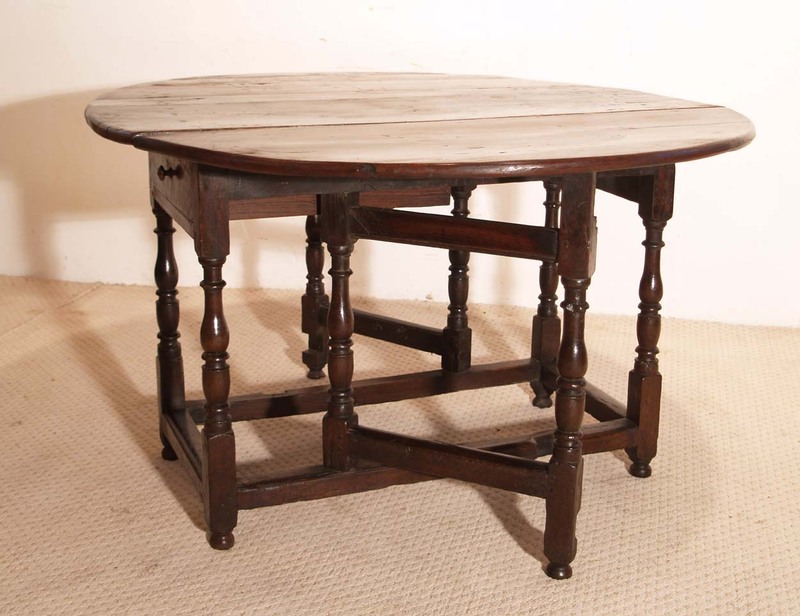 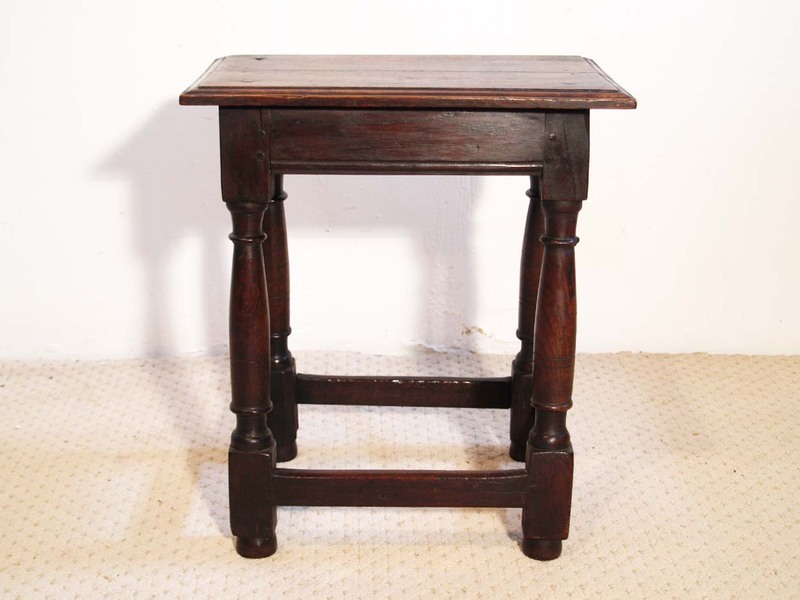 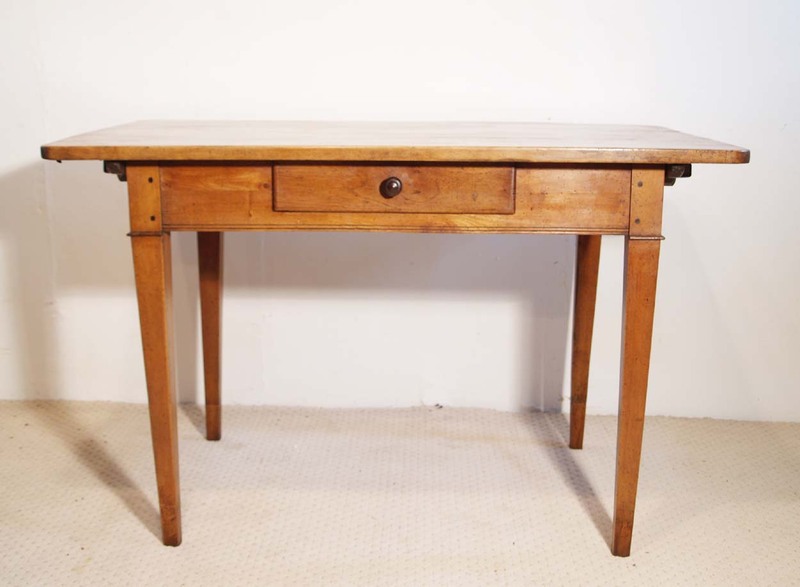 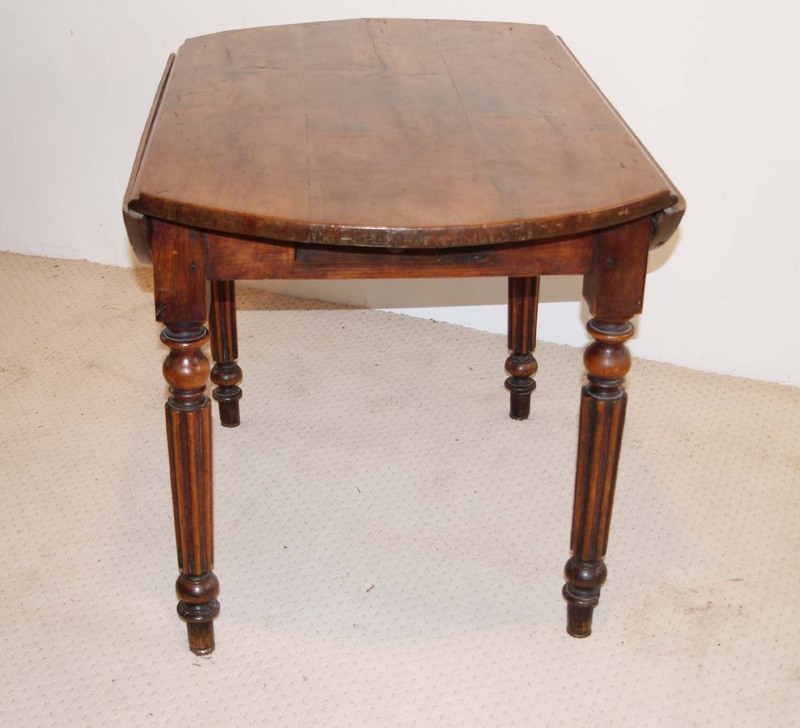 A pretty antique vintage French vendange table, originating from the Bourgogne region of France C 1810. 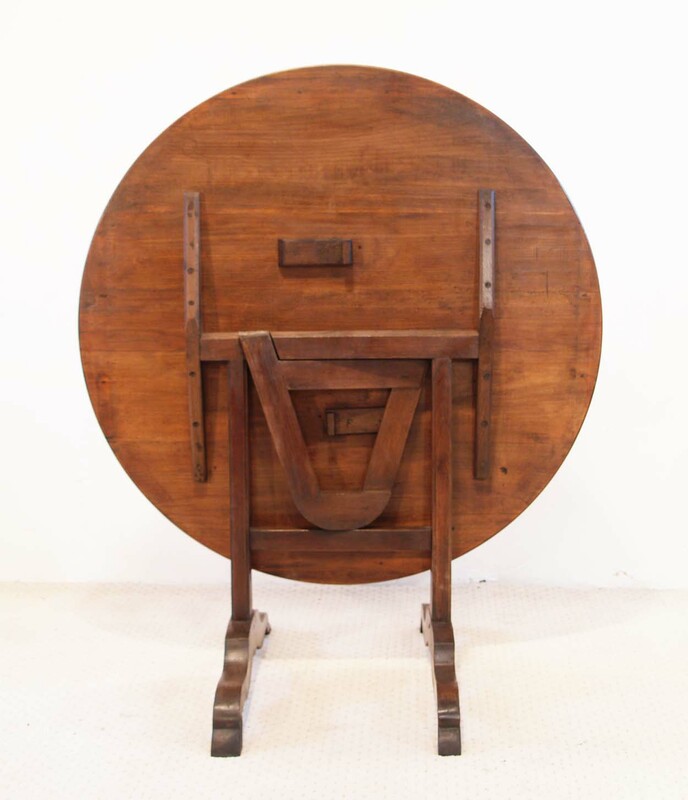 These table were taken out into the vineyards, during the picking season, in order to allow the grape pickers a modicum of comfort during their food breaks throughout the day. 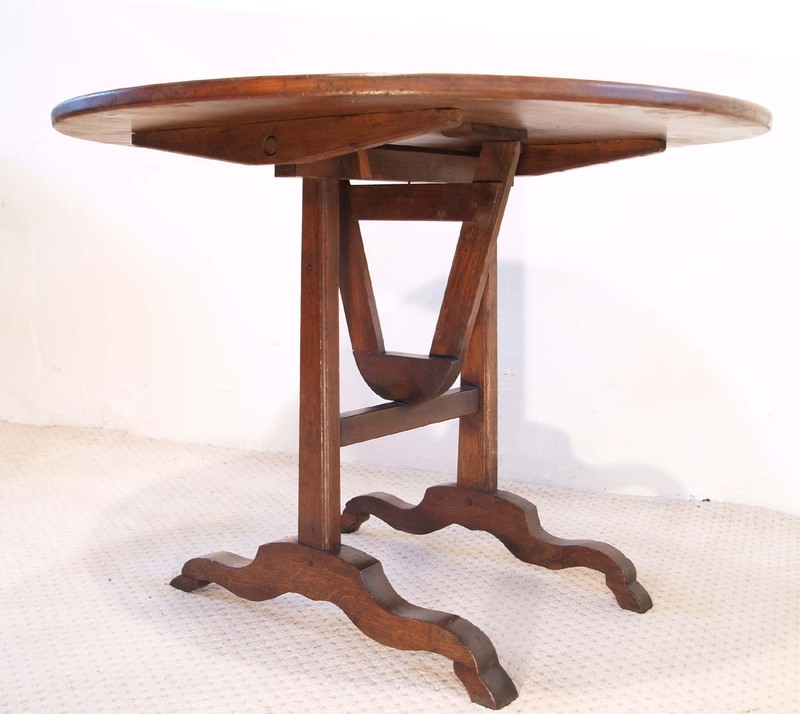 This piece has been built with an oak base, supporting a round cherry top. 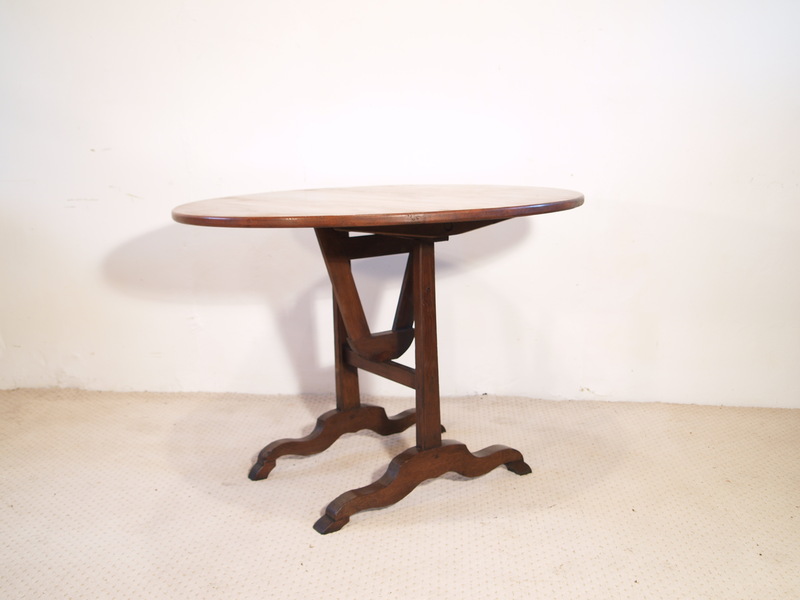 The base has a gate that pulls around in order to support the top, yet when folded flat to the base it enables the top to be tilted vertically. 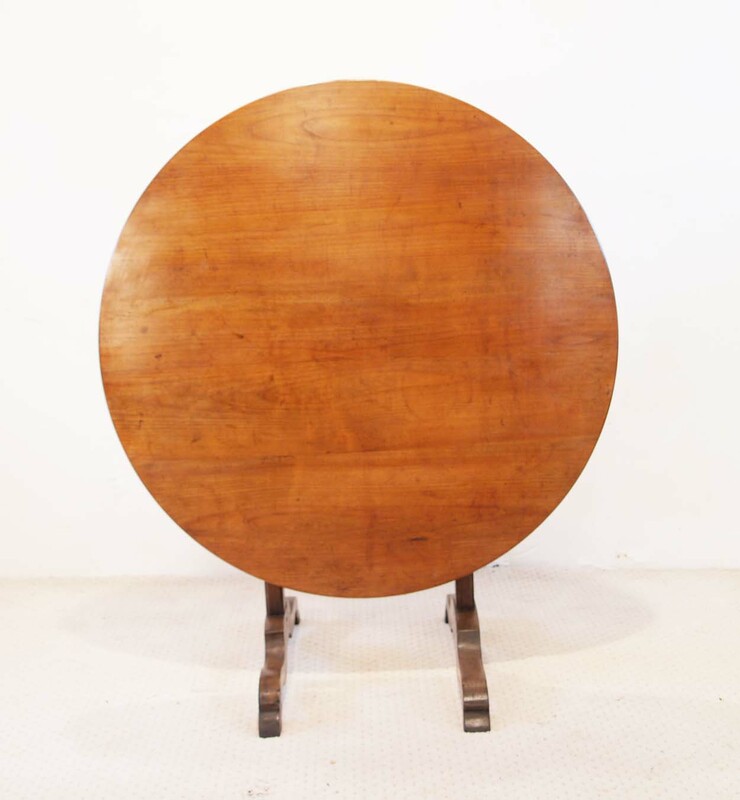 The base sits on shaped sledge feet, giving a light elegant feel to this table. 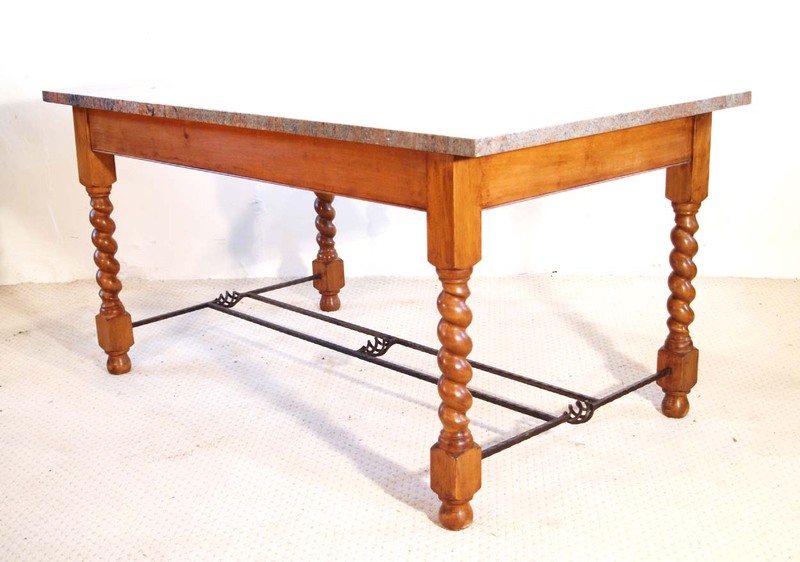 This is an extremely useful piece of furniture, as when not required, the top can be tilted and it can then be stored out of the way against a wall.